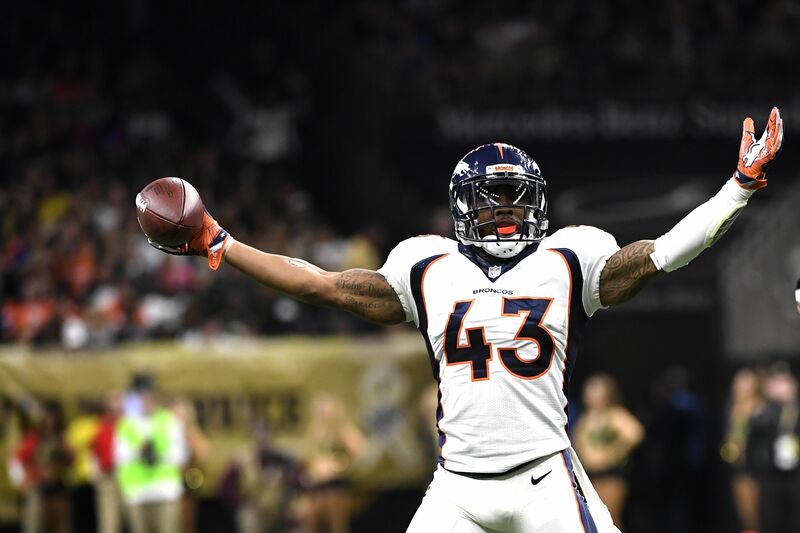 It’s finally that time in the NFL preseason where teams have to make big cuts to get down to 53 players, and the Broncos made a big decision with T.J. Ward. Saturday is a huge day in the NFL season, and it comes before the regular season even starts. With teams needing to cut down to 53 players on their roster by 4 p.m. Saturday afternoon, teams always have tough decisions to make, and it looks like T.J. Ward was the latest victim of the cuts. According to Ian Rapoport, the Denver Broncos decided to release the three-time Pro Bowl safety on Saturday, which makes sense given how he has missed a lot of time this preseason with a hamstring injury. Ward played three seasons for the team and made the Pro Bowl twice as a part of a stellar defense and solid secondary that helped lead them to a Super Bowl 50 win in the 2015 season. The #Broncos have informed three-time Pro Bowler and all-pro safety TJ Ward that he’s been released, source said. Ward had one year left on his deal with the Bro os, and needed to make a splash at 30 years old to show that his injuries weren’t a big deal for any team looking to add him to their secondary. However, it shouldn’t be hard for Ward to find work before the beginning of the season, given his smash-mouth style and hard hits that were featured in the Broncos’ “No Fly Zone”. It’ll be a big void to fill on defense for the Broncos to be able to keep up in a talented AFC West, especially with the rise of the Oakland Raiders as a talented offense both in the air and on the ground, and we’ll see if they can combat the loss quickly heading into 2017. The move is just one of what will likely be tons of huge moves across the NFL on Saturday, and it could actually turn out to be one of the tamer moves once the day is said and done.